This photo was from yesterday. 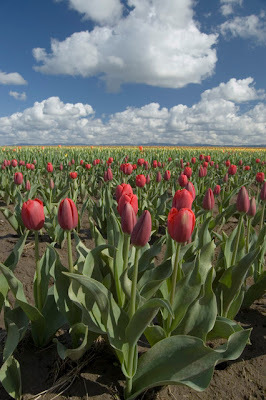 It was a glorious day out at the Tulip Festival! The sun was shining, there were big fluffy clouds, and it was relatively warm. Ah, spring, how I missed you so.